Thomson Snell & Passmore has retained its position as one of Kent’s leading law firms according to the recently released rankings by local publication, the Kent Messenger. Thomson Snell & Passmore named as a Leading Law Firm according to the Kent Legal Sector Review. The Kent Legal Sector Review evaluates the county’s foremost law firms, according to the findings of the respected legal directories, Chambers UK and The Legal 500, and converts these directories’ rankings into a numerical score. For the second year in a row, Thomson Snell & Passmore has been placed as the number two highest rated law firm in Kent. 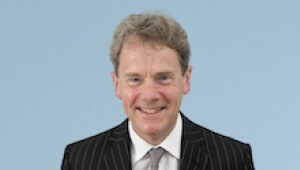 It is also ranked top, once again, as “the best law firm in the county for private client and charity work” and achieved the highest number of points for three types of legal work: acting for claimants in both personal injury and clinical negligence disputes and for its family/private client work. The Review also recognises that some Kent firms have a national reputation and Thomson Snell & Passmore is awarded the maximum points possible for its UK rated expertise for court of protection work. In addition, the firm is ranked highly in several mainstream areas of business law, including corporate, commercial property and employment and noted for its agriculture practice and as one of only two firms in Kent rated by the directories for its transport law expertise.